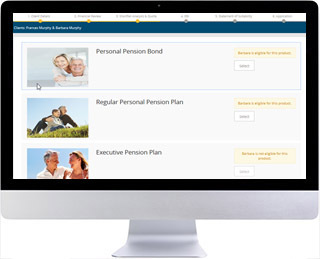 Advice Plus was developed in response to the increasing demand from life, pensions and wealth companies for innovative solutions to enable and transform their businesses to meet the challenges of the digital world. Advice Plus helps organisations to deliver on their digital strategies, rapidly launch new products, provide a modern digital experience and launch new innovative online capability. Improved customer service – faster turnaround, reduced errors, and improved data quality. Allows access by end-customers for full self-service and ongoing updates. Click here to see the main features of Advice Plus!